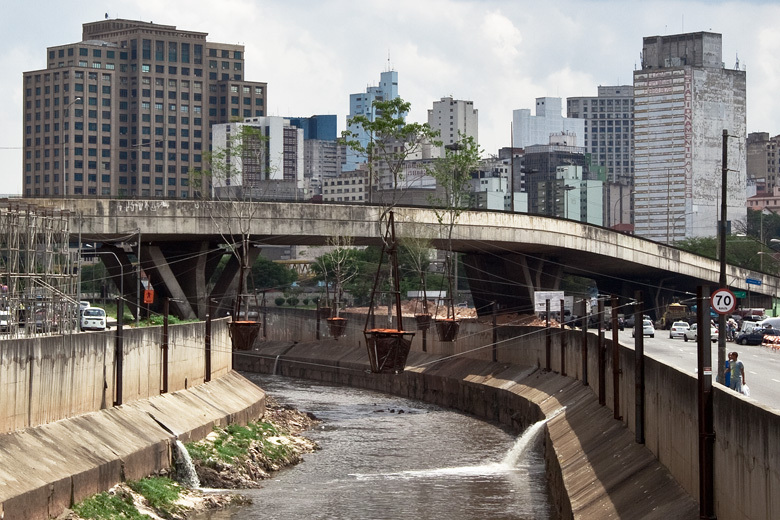 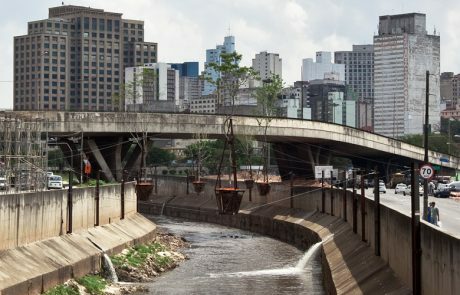 Municipal de São Paulo, is the first result of the Project Margem, created by Itaú Cultural. 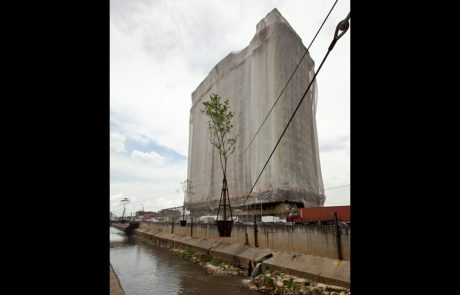 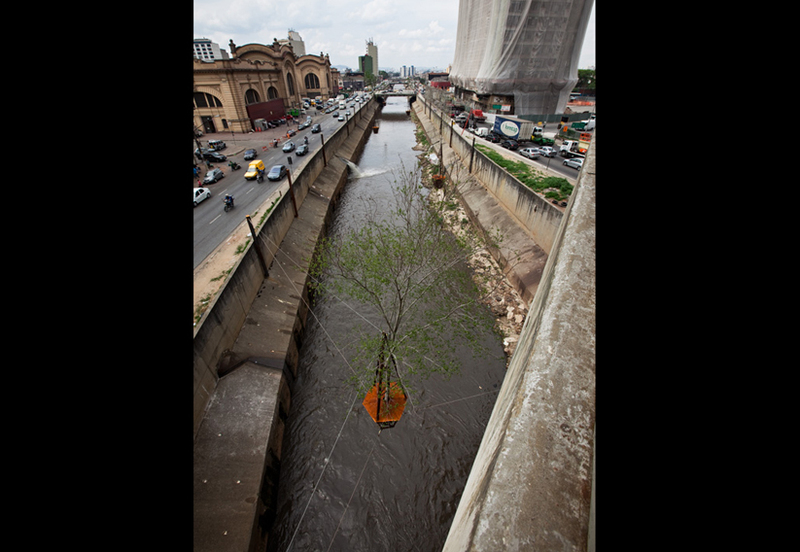 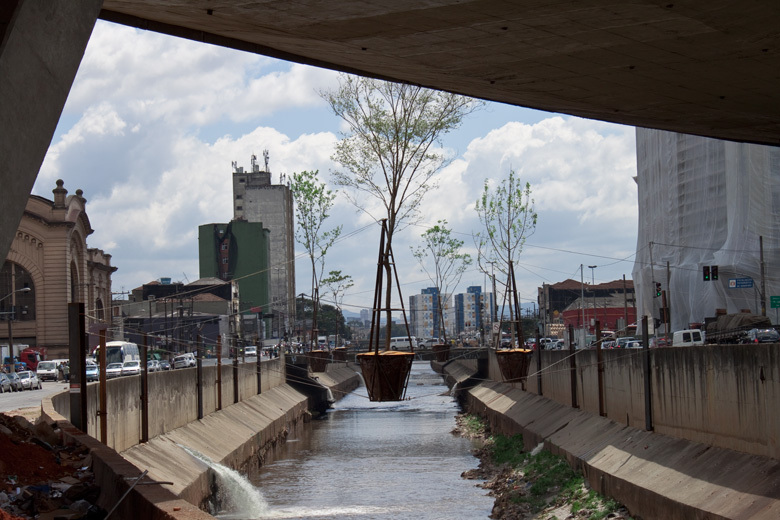 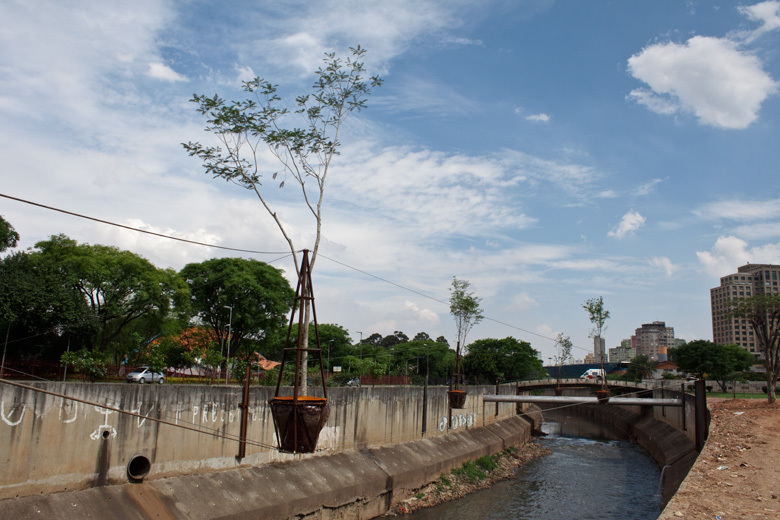 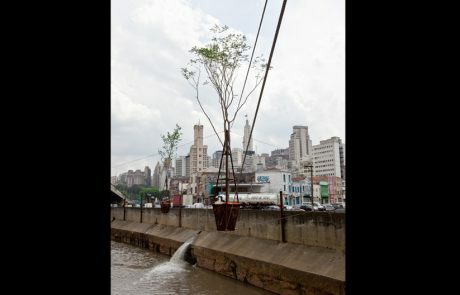 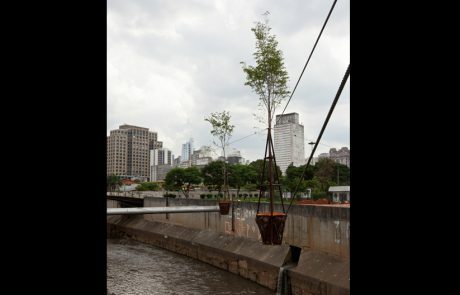 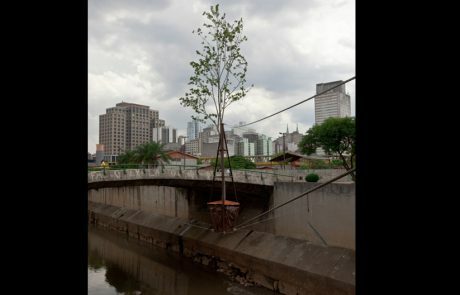 The intervention consists of the elevation of a set of large-sized trees over a 400 meter area, on Tamanduateí river bed. 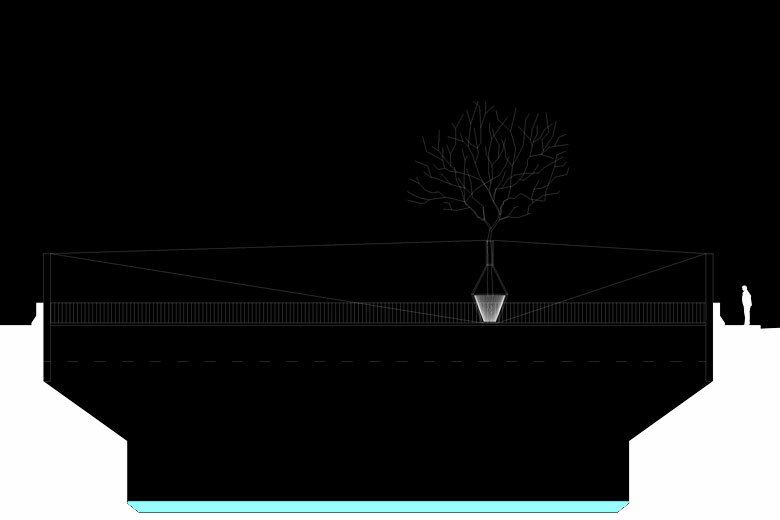 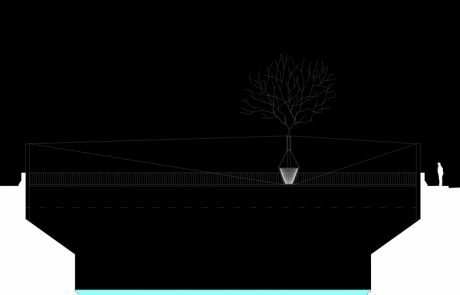 The trees are supported by an iron framework and steel cables, as if to create a suspended and surreal garden on the surrounding area of a place that is still called Parque D. Pedro II. 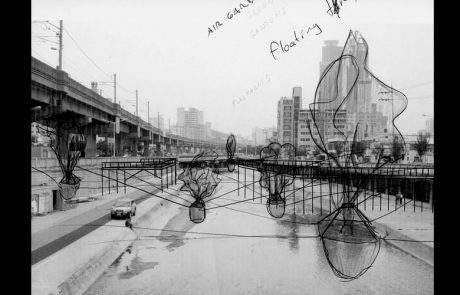 Suspension is actually the key word to describe this piece, pointing both to its physical and metaphorical reality: the epiphany of another latent, phantasmagorical city, which seems to emerge and rise over the real city, suspending it. 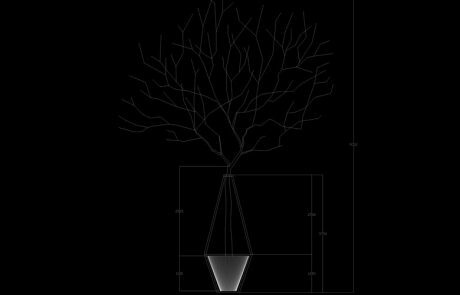 The poetic content is paradoxically delicate and aggressive at the same time. On the one hand, the intervention stands onirically in a linear park, in a non-existing terrain, in a reference to the sacrifice of natural spaces and spaces for leisure, by a city that has stricken the ‘Faustian bargain’ for modernization of industries and roadways. 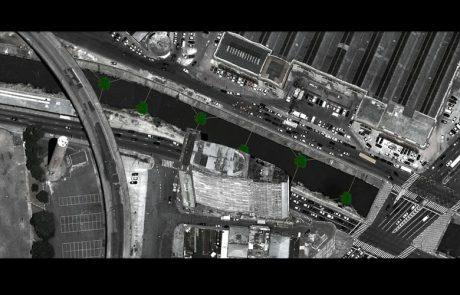 On the other hand, the artwork replicates the operations of energetic artificiality and improvisation from a city that is constantly leaping over its difficulties instead of trying to solve them ‘“ as exemplified by the ever-increasing size of helicopters’™ fleet in response to urban traffic and violence. 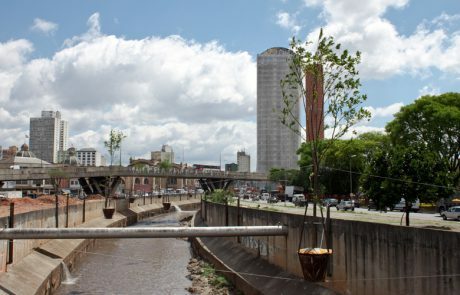 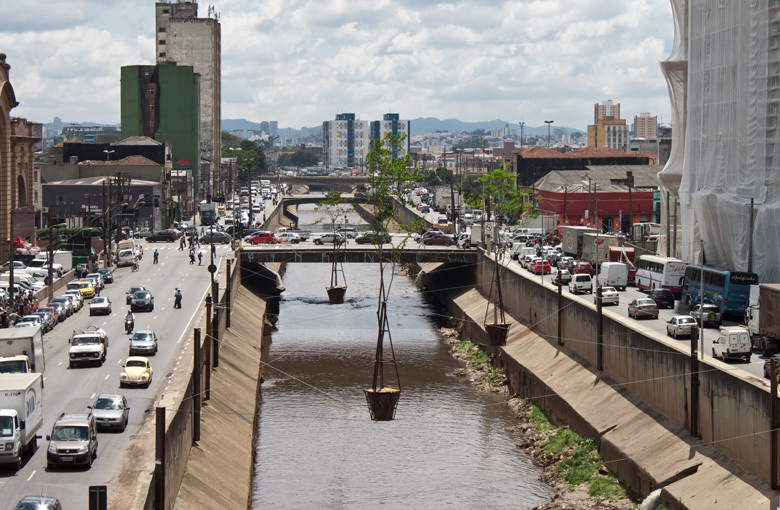 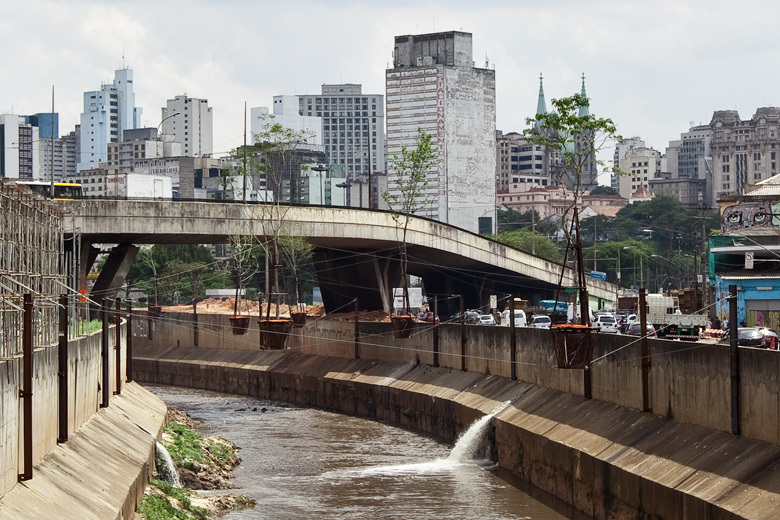 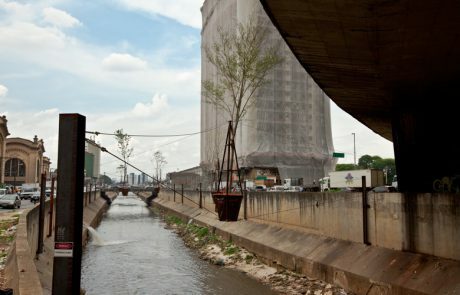 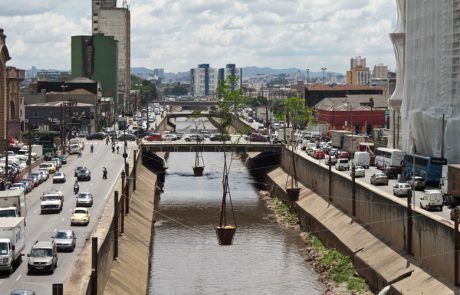 Along with Anhangabaú creek, Tamanduateí is a river that propitiated São Paulo’™s beginnings. 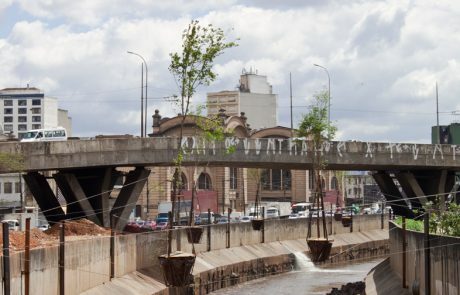 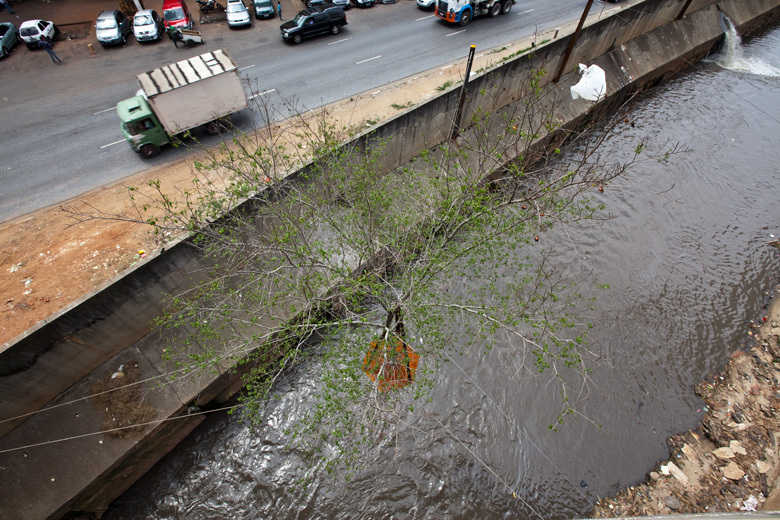 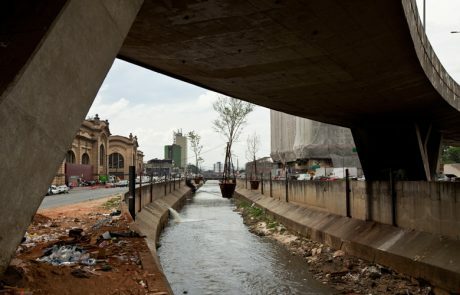 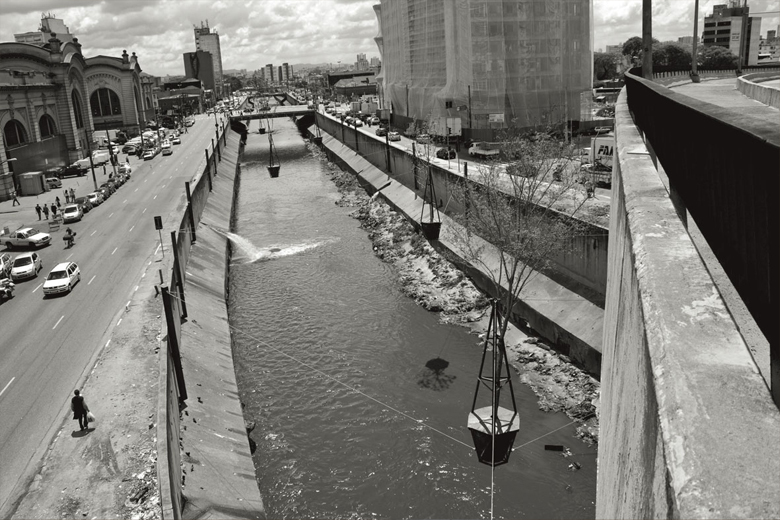 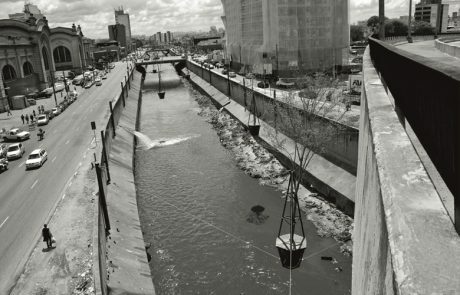 The river was rectified and canalized in the 1920’™s, when Parque D. Pedro II was built, and progressively disappeared from people’™s view, hidden by express highways, fences, sewage systems and exit ramps. 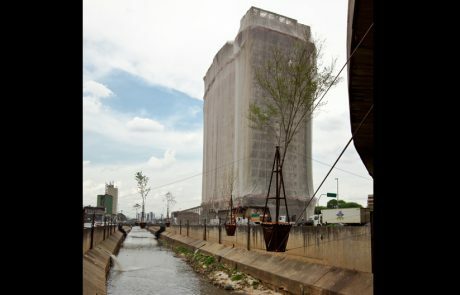 Várzea do Carmo, the access door to Zona Leste, the eastern part of the city, and the traditional area for trading cereals in São Paulo, is today a low-end area, full of conflicts and rife with information, marked by informal trade and street dwellers and the traumatic history of recent vacating of demolition (on-going) of São Vito and Mercúrio buildings ‘“ which imposes yet another change on the landscape. 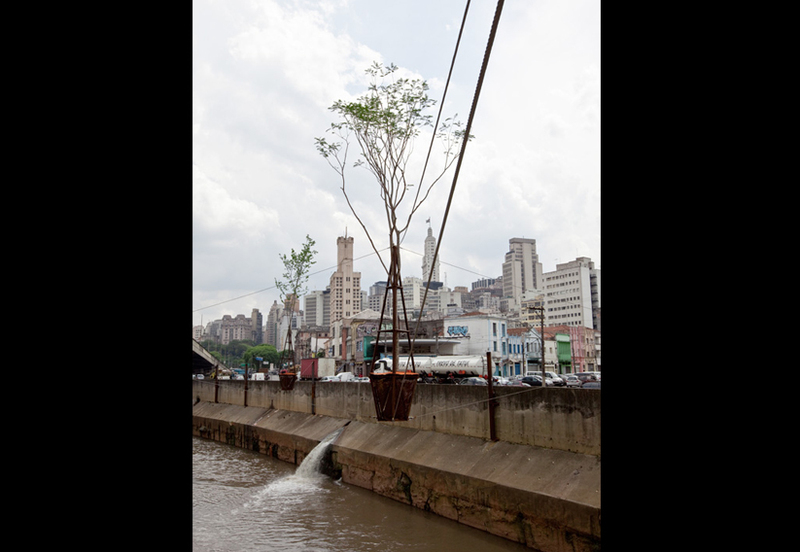 In choosing this site to host the Margem Project in São Paulo we try a critical approach to this confluence of relationships. If on the one hand the urban space in Tamanduateí river banks was subject to desertification, we must admit that it is still a space of maximum vitality in the dynamic and exclusivist city turned into a metropolis. 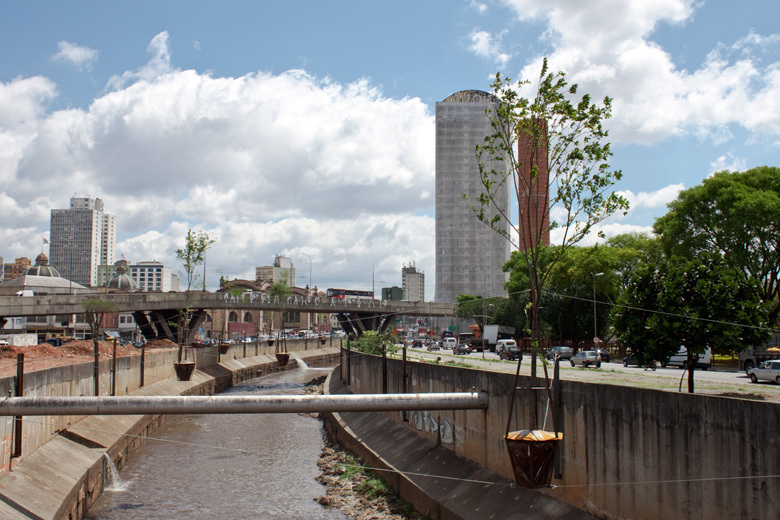 Zamora’™s errant landscape goes through social and environmental criticism, but does not present a remedy for the urban nightmare. 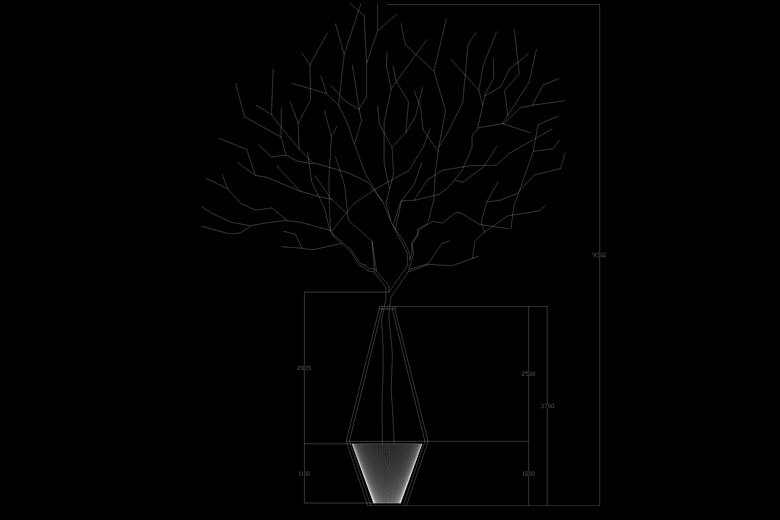 Quite the opposite, it is a true tour de force, which may be seen both as a Garden of Eden in an unsuitable location and as a hybrid, mutating nature, immobilized in a spider web.